I found this blog challenge at Melange of Musings and couldn't resist giving it a go! Have you had any past online presence (Youtube,Other blog)? Yes, I've been around the block when it comes to blogging! I've been very active on Livejournal and Dreamwidth, the fandom blogging platforms of choice, over the years, and I've had endless amounts of social media accounts. The first one I really got into was MySpace; I spent so many hours 'pimping' it out with glitter text, and sparkly hover features. In the gap between this blog and the last one I was most active on Tumblr, it's such a laid back network when it comes to engagement. I started this blog at the end of January 2015. It looks like I started earlier though because I backdated a lot of my historical essays and suchlike, because I had so many to move over from previous blogs. 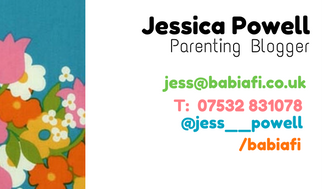 I bought my own domain name, www.babiafi.co.uk, in November 2015 when I started to take blogging more seriously. My first original post for this blog was a review of the Lamaze Night Night Owl - I like to think I've improved since then! Still blogging! Hopefully the blog will continue to grow and, with any luck, I'll be able to make a little extra cash from it. What is the most rewarding thing to you about blogging? / What motivates you to blog? The people I've met (in the virtual sense!) from it, and the record it's created of our lives. I love looking back already and seeing how much Marianna has grown and changed over the first year of her life. What motivates me is having something of my own to focus on, and the drive to just get better at it all. How many hours a week do you spend writing/editing posts? Too many! At least ten, I'd say, when you factor in checking social media, email, and all the rest of it. The Toy Box Philosopher. If you're a doll collector, or just looking to buy a doll, this blog is an absolute must! 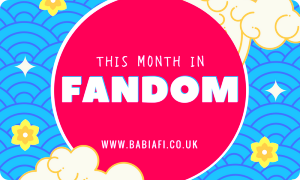 TBP has the most in-depth reviews of dolls you're going to find on the net, and is constantly introducing me (and my poor bank balance) to new doll lines. 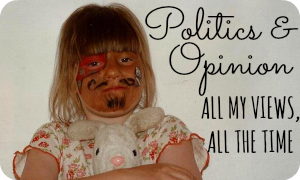 Does anything tick off you about blogging? Not really. It's galling when a post you've worked hard on doesn't do very well, but that's just life. Blog comment / engagement exchange groups are the best thing since sliced bread, especially for posts which might not otherwise attract much attention. That quote is so true!! I have to work hard not to compare myself to others too. There's an old saying about comparison being the thief of joy which is very apt when comparing yourself to other bloggers. I'm also quite fond of saying that it's important to remember that no one can ever write about your life better than you yourself. I think the thing that motivates me most about blogging, other than keeping a family record, is the ability it gives me to be creative in different ways. I've branched out from the blog into podcasts and musical parodies. And one day I *will* get that book finished! I haven't heard that one before, but it is very true! There is nothing that can bring a mood down faster than a comparison session! I've definitely tried things which I never would have otherwise. Even little things like picking HTML up again, which I just wouldn't have had any reason to if it weren't for the blog. Love your quote about never comparing yourself to someone else. It's spot-on but of course we all have a tendency to do this. It's human nature I think!